Firstly, what must be understood is that in order for you to run sub 40 minutes for 10Km, you must be able to run below 4 minutes per kilometer for the distance. What we are looking at to start with, is being able to run 5Km’s in 3min 50sec per kilometer. This will give you an overall 5K time of 19:10. Added into your training will be sessions at this speed as well. Now, the secret to your training should be to balance your training with your lifestyle. Your running must never become too much for you. You must always be able to do the sessions asked of you, if you miss a training session you can’t make it up. There is no going back to make up for what you have missed. Trying to make up for what you have missed is what normally leads to injuries. 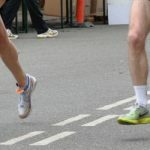 The 5K paced run, you should not run faster than 19:10 on these days. 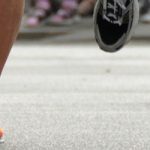 If you want to run a hard 5K then you must do so on the race day. Adhere to this advice for success with the program. Finally, this program is not recommended for a ‘beginner‘ who has not got a background of running. It is recommended that you have a reasonable amount of ‘running’ without injury before attempting this program. Very encouraging as my best time is 44:06… Starting sub40 training on April 17th. I’ll get back with some update at the end of Summer 2012. A bit late about “end of Summer 2012” update… Things didn’t go as expected as my body was simply not ready for the training last April. Got injured during the second training week. “vBulletin Message: Sorry, registration has been disabled by the administrator.”. Email received, and replied to. Thanks for the quick replies! I know this is the wrong place, but just wanted to say thank you. Went for 39:56 today! Yeah! Did you make day 3 at 3.55/km ? I don’t think I did, my fitness improved as I worked my way through the program. I just ran it to the best of my ability at that point. Hi Joe, please consider joining the forums and posting your question there .. When can i expect the forum registrations to be open?? I have many questions to ask. ok, so does this mean that you do 30 min easy run first, and then 12min of alternating fast then slow minutes? 42 min in total? I just ran 4k on 400m grass track at a 4:04 pace, and was very pleasantly surprised, considering my half marathon pace a couple of weeks ago. Wondering whether I should target sub 45 or sub 40 min for 10k, starting day 1 today? What is da difference between easy run and easy distance? 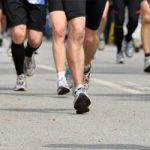 Does easy run mean you run slowly for the assigned amount of time and easy distance mean you run slowly untill you reach a distance you set yourself? Can you clear this up? I just completed 3 iterations of this training program (9 weeks) and managed to get my sub 40mins! Previous to this, my PB was 41:46 and i got 39:47 at the Brighton 10k. I did not manage to stick to the plan 100%, i missed 17 runs, but they were the easy days. I felt my body needed a rest. Then in the last week approaching final race day, i missed almost the whole week due to injury, which i recovered from in time for race day. Very happy. I’m keen on getting my 10k time to under 40min, with a current PB ( in adulthood ) of 45min. ( school days 35min ), and just been looking at the forums for advice. I am 45 , 68kg and 171cm. apologies for the delay in response, would you be interested in joining the forums so we can assist you? do you have any advice breaking 5K in 20 mins? Currently can run in 20:45.
training with speed work,hills etc. My goal is to break 36min @ 40+. Should I just jump into one of these programs and let whatever happens happen? or should I do some preliminary base work prior?any thoughts suggestions? thanks in advance! Hi Mike, consider doing a 4k time-trial to see what level you are at and then from that you can look at doing the sub 35 minute 10k program, however with the sessions revamped for you. I’m 16 and i’ve run 10k in 45 minutes. I´m trying to get 41 minute sor less in 10 weeks, I also train football 3 times a week, and I play tennis 2 hours a week, do you think I can complete this plan? Hi! Perhaps I’m being dim, but what is the meaning of the ‘P’ in “start with 10 x 400m R 60 400/86sec – no faster P”. I couldn’t find an explanation in the page. Could you please advise how much to change the pace of the 2k sessions(day 3) for heat. I am looking at 20-25 degrees this week and would like to know how much to adjust them by. I have found the standard runs much more difficult in this heat and I am not yet acclimatised. Thanks for the info, Could i please register for the forums? Hi, i’ve done the 10K in 45 minutes and i’m targeting the 40 minutes mark. I play soccer all tuesdays and i’m trying to incorporate the sub-40 program. These tuesday games are usually pretty hard and i’m a little reluctant in doing those wednesday’s fast paced workouts. Any advice on which day i could use to do those speedy workouts? Hi there, Day 3 to Day 8, are the most important days of the program, we start Day 1 on a Tuesday, so Day 3 falls on Thursday and Day 8 on a Tuesday. Once those days are behind you, you are able to juggle the rest of the sessions around. You may have to move the 1k session to the Monday? i’ll do another reply in october happy running ! Hi Bob, I do believe you have joined the forums, is this correct? I am on day 2 of this programme – thanks, it looks great! I was wondering what good looks like on each day – what are good distances and times to help you get under that 40 min mark? I’m a 52 year old runner who recently ran a1 hr 38 for 1/2 marathon, 45.13 for 10K and 21.50 for 5K. Is it possible I could get “throw back the years” and get under 40mins for 10K? I currently run about 40K a week with my longest run about 45 mins. About 20 years ago, I ran a 33.50 10K, and a 1hr 20min 1/2 marathon -but obviously a bit slower these days in terms of natural speed. I’m reasonably fit with other sports and could increase my mileage if need be.. I started the under 40mins 10k plan a week ago. Currently, my 5k PB is 19:55, and 10k PB is 42:08. I’ve adjusted the plan via the instructions found in the program tips. I would like to know if an extra adjustment is needed for winter training. Around the time I train, the temperatures in my area will be around 5-9 degrees C for the following weeks. Any advice for pace adjustment for the hard sessions? Also, I would like to know during which days I can include some weight training(dumbbell exercises for core & leg strength). I don’t have a treadmill available, unless I get a gym membership. But I’d rather train outdoors. I’m currently at day 9 in the first cycle and I believe I should be able to mantain the paces for this cycle given the predicted temperatures for the next 2-3 weeks. Do you think that it’s a good idea that instead of the 2’nd & 3’rd cycle I should do more volume training at an easier pace(HR zones 3-4)? And do speed/interval when temperatures will allow? This of course means that I won’t have a structured approach, because I’ll have to rely on the weather outside. Pls advice which program shall i have to follow in order to achieve 4min per km at least untill 7km .tks. what does p mean in day 15, and quite fast? What is meant by “start with” in the qualitiy sessions, does that mean they should be extended later on? What is the reason for going “no faster” than 86 in 10×400? Hi, yes, there is development as you improve. Thanks a lot for this. I find that I am doiing the intervals quite easily -1000 around 3.40 and 400 around 80, but racing really does not work (40.55, with around 19.30 half way). So I am thinking how I should be able to make it though the whole 10k. Distance wise I think I am doing fine to even though I often run trail and mountains that tend to be slow. Thanks a lot for a great site. I’ve adapted the sub 40 plan so that I can run 3k and 5k races and I have just won gold medals for regional vets champs at 1500m, 3000m and 5000m. Will be using the plan as a straight 10k plan next. Thanks for the great plans! so do 5x2k with 90 second rests – what pace? 7min 50 – does this mean run another 7min and 50 seconds after the intervals and try to run this at 3.55 per k? I would like to incorporate strength training with this to improve core strength primarily. Any ideas? Wouldn’t recommend combining this program, as it really took a lot out of me as is (then again, I am 44 and the cycle took everything out of me…)! Good luck. Worked like a charm. 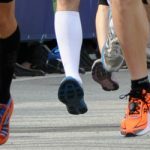 44 year old male, running between 30 – 40 km’s a week with a 10k PB or 40:40. Completed 1 cycle of the program and ran a 39:09 today at the Sun Run in Vancouver, BC. Thanks a bunch. Happy to hear Jack, however often the runner is doing the work but missing a few of the sessions that provides the results. Can I practice morning and evening? Hi there, the programs we provide are progressive and we do not consider it necessary to do doubles on the sub 40 minute program. I run 10k at 44 mins and 5k at 20. What would easy distance mean for me. An hour of easy distance? Would that be 10k or like 12k? Keen to sign up for the forums to discuss a couple of questions but can’t seem to find a way to register? I want to be registered to this forum. I have a PB 5k of 21:28 very recently and this week I will run a 10k in my town. Three weeks later I will run a half-marathon. Couple of half marathons around 2010/2013. PB 1h33 but always trained with feeling only and no scientific training plan nor running watch. Few marathons too with PB 3h45 also without a proper training plan / watch. Moved to long distance triathlons (half ironman distance) in recent years so lot of endurance but not so much speed. Did a 5k in 20.40 last June in France without properly training so Decided to give a try to the 10k sub40 plan, having read the positive comments. Started early december to target the dubai 10k in end Jan 2019. Have you recovered from the foot problem?